senso posted an AVR VU meter and spectrum analyzer in our new project log section of the forum. 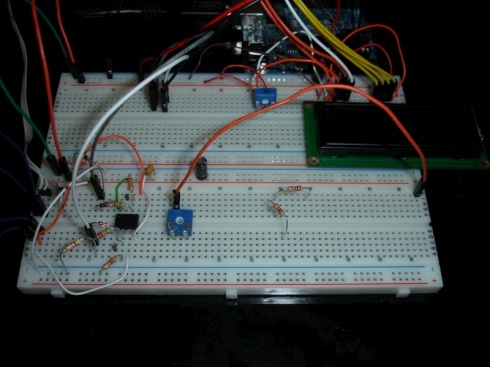 I’m here to show my on-going project, its a little VU meter and spectrum analyzer that I made using an op-amp, an Arduino and a 16×2 char lcd. This entry was posted on Friday, January 28th, 2011 at 7:41 pm	and is filed under AVR. You can follow any responses to this entry through the RSS 2.0 feed. You can skip to the end and leave a response. Pinging is currently not allowed. Nice project, keep going senso ET@UA rules! LCD VU meter and FFT spectrum analyser Program.